We were staying a fortnight at the Ramada Resort Golden Beach in August 2017. We loved it every day, nice view from our balcony in the ninth level. Sunrise over the sea and sunset over the Glass House mountains. Every day sunshine specialty coming from Melbourne with its cold winter days. Owners BBQ, good place to speak to other owners and having a sausage and a beer. 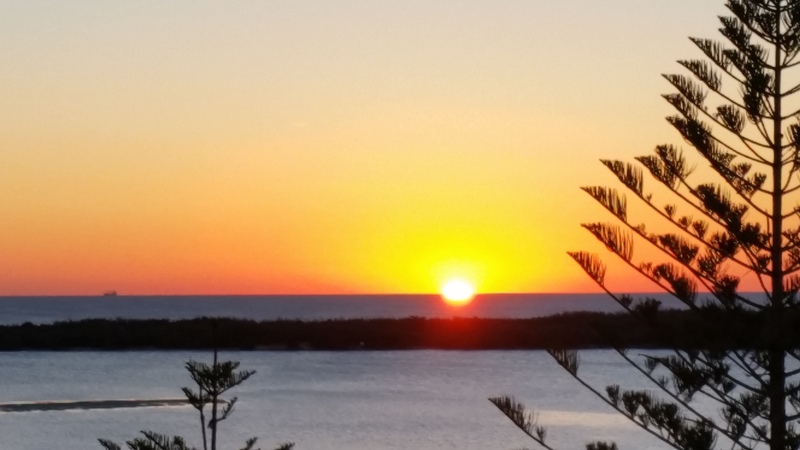 This entry was posted in (QLD) Sunshine Coast, australia, holiday, south pacific, travel, vacation ownership, worldmark, WorldMark Resorts and tagged Golden Beach, Sunshine Coast. Bookmark the permalink.